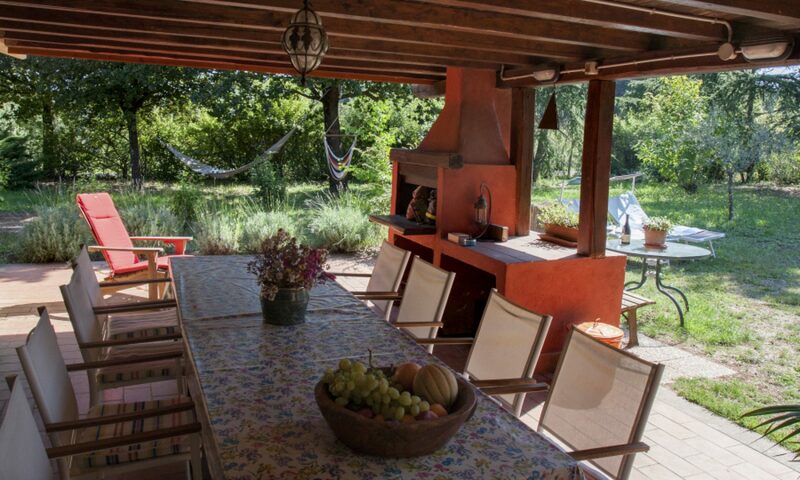 In the Italian district of Lazio, just north of Rome and south of Tuscany and Umbria, lies this lovely and comfortable holiday home Serrari. Between the hillsides of the picturesque towns Monte Virginio and the municipal town centre of Canale Monterano. The province Lazio, or Latium, is still very Italian. People are friendly, the coffee is fantastic, and the Italian food alike. 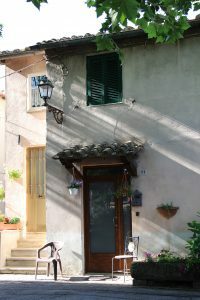 But even though you will find La Bella Italia here, Lazio is not yet overrun by tourism. Therefore, you will find modest pricing in restaurants and stores. 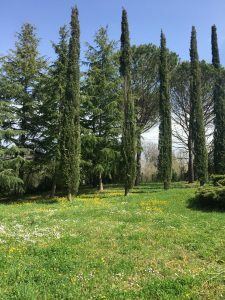 The country home is ideally situated for a variety of activities, being in the middle of historic Etruscan grounds, at short distance to the Mediterranean Sea, in the vicinity of Lake Bracciano and very close to the city of Rome. Holiday home Serrari is spacious and offers plenty of room for a group of friends, a number of couples or families to celebrate their holidays together (8 up to 10 persons). With 4 bedrooms, 2 bathrooms, a large living and kitchen area and 4 outside terraces it comfortably accommodates everyone’s stay. In and around the house? Of course! Take a stroll or hike, grab your mountainbike or whip up a meal in the well supplied kitchen or barbecue outside. Getting chilly outside? Light up the fire and read a book from the bookcase. Feel like watching some telly? Or do the kids ask for the Wifi code? No problem. Sunbathing and swimming? Within half an hour you drive to the beach at Santa Severa. Or go to Lake Bracciano and Martignano for an equally satisfying day. Grab a pizza bianca for the road and ask the local butcher for some buffalo and mortadella. It’s your holiday, after all. 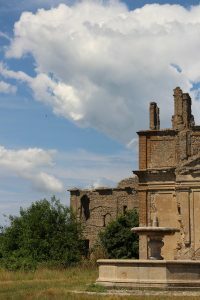 Indulge in history and archeology? Visit the ancient ruins of Monterano, take a daytrip to the Roman amphitheatre of Sutri in Viterbo or walk through Etruscan tombes at Cerveteri. Or do you wish to visit the great city of Rome? 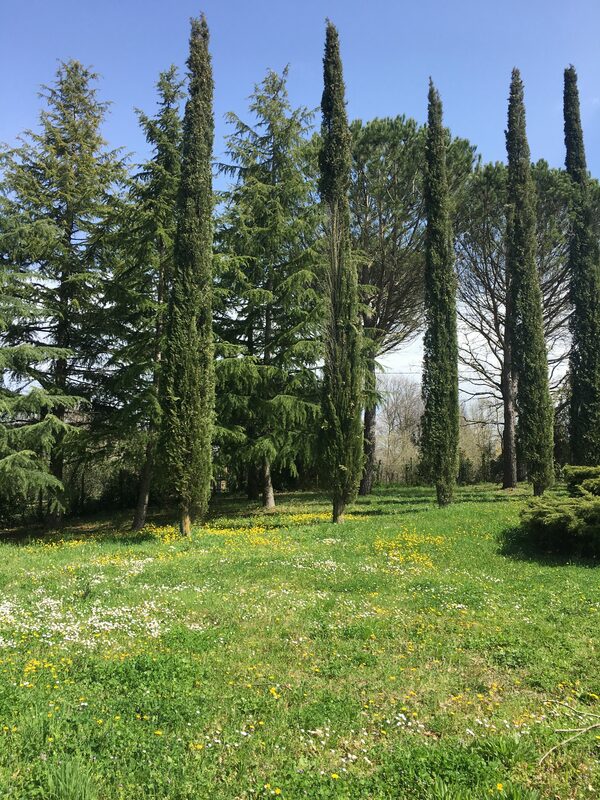 Take a train from nearby Oriolo Romano and you are standing next to the Vatican in an hour. See tips for more information.